Security – What Me Pa..Panic? I use Azure Virtual Machines (VMs) a lot for demos and testing. Recently when I tried to connect to some of my VMs using remote desktop I got a error message. The message read “An authentication error has occurred. The function requested is not supported.” Researching this error on the Internet led me to a security update applied to Windows 10 and Windows Server 2016 that was rolled out on April 17, 2018. This update includes an update for the Remote Desktop Client (RDP) to fix a CredSSP authentication protocol vulnerability. After the update is applied you can no longer RDP to any machine that isn’t fully updated. My problem was that my Windows 10 laptop had been updated, but my Azure VMs had not been updated. I’ve seen several fixes on the Internet to workaround this problem temporarily using registry settings or Group Policy Objects (GPO). Unfortunately, the only Active Directory server involved was also on Windows Server 2016, so there was no way to attach to it make registry changes or modify GPO settings. But I was able to find another workaround that let me access the affected servers via RDP so that I could update them. The trick was to find a server or workstation that hadn’t been updated yet. In my case I had a local Windows 8.1 Hyper-V VM that I hadn’t updated in a while. Using that I was able to access the affected VMs and run Windows Update. Once the update was applied I could RDP into them from my Windows 10 laptop. I also found that I could still RDP from my iPhone to the affected servers to apply the update. I admit that the screen size is pretty small and difficult to work with, but it is possible. So if you don’t have a workstation or server that hasn’t been upgraded recently you can try to RDP in from your non-Microsoft phone. Note: I didn’t try using Android, but I assume it will also work. Changing the permissions assigned to the default Owners, Members, and Visitors groups in a SharePoint site is easy. You just navigate to Site Settings > Site Permissions. Then select the group whose permissions you want to change and assign them a new permission level using the Edit User Permissions button in the Ribbon. But that won’t work in the Site created behind an Office 365 Group. When you try to use the same procedure you find that the Edit User Permissions button is greyed out if you select any of the built in administrative groups. (See the Screenshot below. The problem is that Office groups are created when you create a Security Group in Office 365. By default that security group is added to the built-in Members group of the Site Collection. To make sure that you don’t inadvertently lock users out of the site Microsoft disables your ability to change the permission on the default Administrative groups when using an Office Group based site. But there is still a way to modify the permissions for the users in the groups. If you navigate to the home page of the site and select Site Permissions from the Settings menu (the gear) you will see a panel open on the right hand side of the browser window. Under Site Members you will see the security group that provides the basis for the Office group you created. If you select Edit under that group you can change the permissions for the members of the group to either Read or Full Control. However, instead of changing the permission level for the group it will actually move the security group to either the Site Visitors or Site Owners groups respectively. But what if I want to change the default group’s permissions to Contribute instead of Edit? To do that you’ll need to use two different SharePoint groups. First, use the Site permissions panel to move the underlying security group from the Site Members group to the Site Visitors group. This will give all your users Read permissions to the site. Second, click on the Advanced permissions settings link at the bottom of the panel. This will take you to the regular site permissions page that you are used to. Now you can create a new SharePoint group and assign it whatever permission level you want. After you create the group add the same security group you moved above as a member of the new SharePoint group. 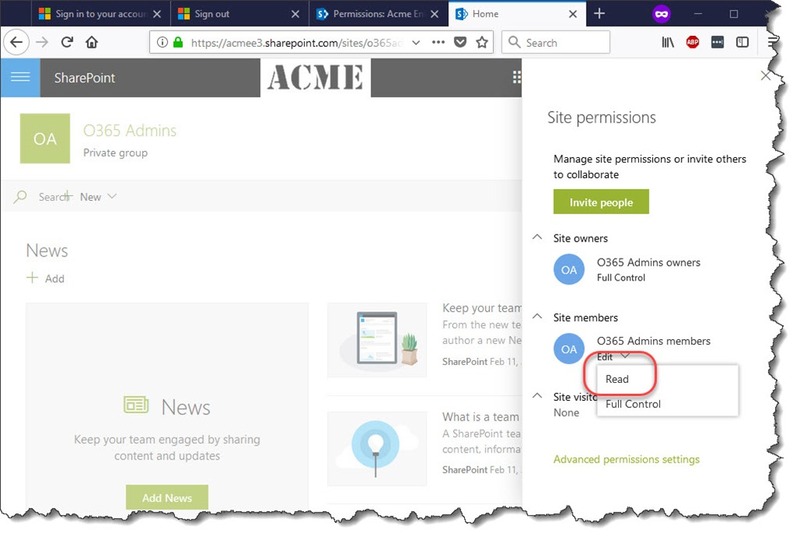 Since SharePoint permissions are additive this will give all your users both Read permission and whatever new permission level you assigned, for example Contribute. I hope that clarifies how to manage Permissions in the new Office 365 group sites. Since Team sites are based on Office Groups, the same procedure applies to any Team sites you’ve created. 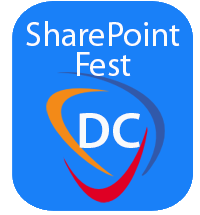 I continue to feel honored that SharePoint Fest invites me to present at their conferences. The most recent even was in DC a couple weeks ago. The attendees were great and both of my talks were well received. As always I really enjoyed the conference and the discussions I had with attendees and the other presenters. This is one of the few times each year that I get to see a lot of my friends who live all over the world. The next conference is in Denver in June. I hope to see you there. BV 202 – SharePoint 2016: What’s New and Why should I Upgrade? 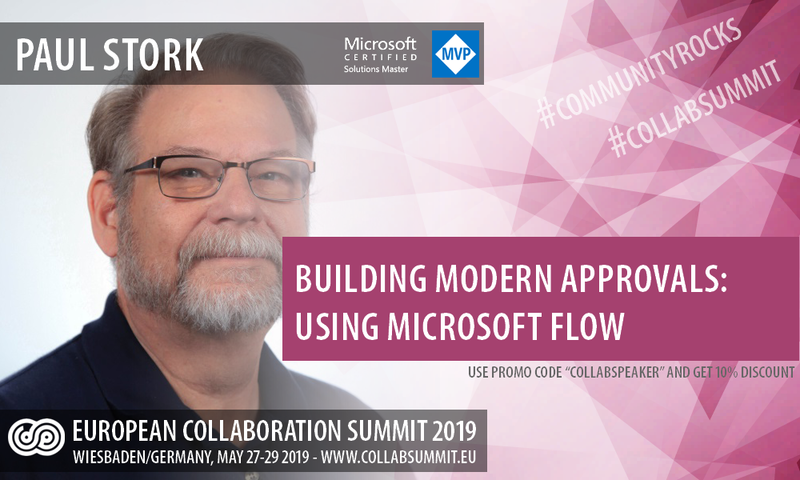 A question came up several months ago in one of the Developer Panel presentations at the Best Practices Conference about whether access to individual pages could be restricted on a SharePoint anonymous access site. One my friends who was on the panel replied that he didn’t think it was possible. Since I had previously researched that question for a client I pointed out that it was indeed possible, but that it was not an intuitive process. My friend then jokingly asked whether I had Blogged on how to do it and when I responded "No" he pointed out that I shouldn’t be discussing things in public that I hadn’t Blogged on. It was a joke, but he was right. I left the conference fully intending to blog about the process the next week, but never got around to it. Its now the end of the year and things are slowing down a bit so I plan to fix that issue by blogging on several topics that have fallen by the wayside in the last year. This is just the first. In a normal anonymous access ASP.NET web site access to specific pages can be restricted by modifying the NTFS security permissions on the specific file to exclude the IUSR_computername user from having read access to the file. But this model raises two issues when trying to do the same thing in a SharePoint anonymous access environment. First, SharePoint doesn’t make use of the IUSR_computername account specified in IIS for anonymous access, so changing the SharePoint permissions associated with this account will have no effect. Second, although security permissions can be configured at the Web site, List/Library, or item level in SharePoint anonymous access can only be configured at the first two of those levels. Adding the IUSR_computername account as a SharePoint user and restricting item level permissions for that user has no effect on the permissions granted to an anonymous user. So on the surface there appears to be no way to configure anonymous access rights on a specific page or file to require that viewers of that page be authenticated. But if you dig a little deeper into how anonymous access really works in SharePoint you discover that there is a way to require anonymous access for specific pages and files. 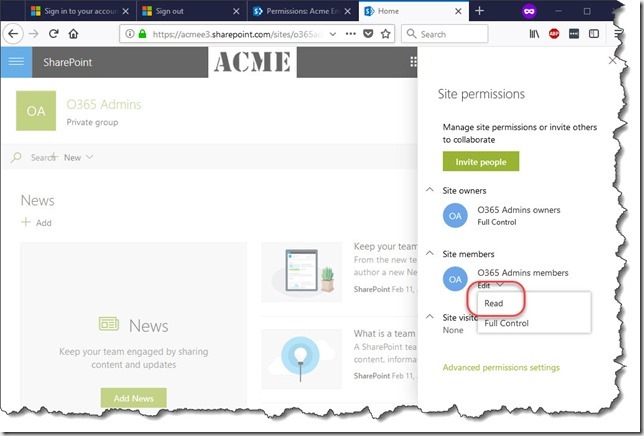 First, you need to understand that anonymous access users in SharePoint are actually provided the same permissions that a user with the Limited Access permission level is given. 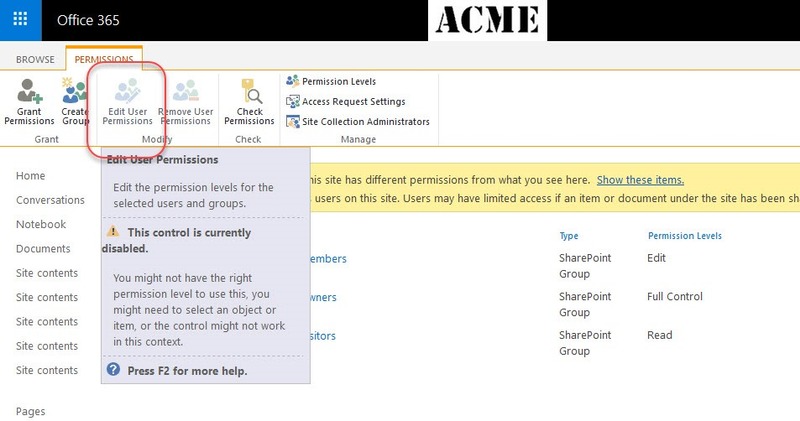 When you configure anonymous access at the Web site, List or Library level in SharePoint you are telling SharePoint to allow all non-authenticated users access to objects at that level as though they had the Limited Access permission level. By default this permission level will be inherited by all objects below it in the hierarchy. It is this Limited Access permission level that gives anonymous users access to list items and documents. But that only works if security inheritance isn’t broken. If you edit the specific permissions on a list item or document, that item will only have the permissions you assign to it. Since you can’t manually assign limited access and anonymous access is not configurable at item or document level this security setting will prevent anonymous users from accessing the list item or document. When an anonymous user tries to access a document or list item that has specific security settings they will be prompted to log in. I’ve seen several queries asking how to limit the items or documents that a user can view. Audiences can be used to filter views of List items and Library documents. But Audiences aren’t and never have been security. If a user wants access to all the items in a list or library all they need to do is create a custom view, no matter what audience they are part of. So if you want to limit what a user has access to you need to set specific security on each item. Item level security defaults to inheriting the security settings of the list or library in which they are created. A user can implement specific security but it requires an additional step on each item created. You could create items in folders with specific permissions and let the items inherit security from the folders, but then you can’t easily display items from diferent folders in a single view. So the question is: How can I set specific security rights automatically based on who the user is, content type, or the value of a metadata field? In this post I’ll explain how to create an event handler that will automatically set security permissions based on the content type used to create the item. First, lets look at the code of the event handler. In lines 6-8 the event handler instantiates the Sharepoint web holding the list and walks the heirarchy to get the list instance itself. We’ll use this later to retrieve the groups that have permission to the list. Line 9 retrieves the list item that was just added. Line 10 calls the BreakRoleInteritance method to set the item up with its own security listing. Passing ‘False’ as a parameter tells Sharepoint not to copy the security settings of the list when breaking inheritance. The foreach loop in lines 11-18 compares the Name of each user/group who has permissions in the list with the ContentType of the item being added. If the name of the user/group begins with the name of the Content type it is added to the permissions list of the item. For example, if the Content type of the item is named ‘TypeA’ then groups named ‘TypeAContribute’ and ‘TypeARead’ would be granted permissions on the item, but a group called ‘TypeBContribute’ would not. Finally, in lines 19-21 the event handler temporarily suspends event processing and updates the item instance in the Sharepoint database. Events are temporarily disabled to prevent recursive events like ItemModifying from firing as a result of the security change. Create and add specific content types to the list/library being secured. Create Sharepoint groups in the top level site of the site collection whose names start with the name of the content type that they should have access to. For example: TypeAContribute group would have Contribute permissions for TypeA content. Assign the Sharepoint groups appropriate permission levels to the list. But when a user logs in who is a member of a group called ‘TypeBContribute’ they only see and can access announcements based on the TypeB content type. You could modify the basic shell of this event handler in several ways to meet the requirements of other scenarios. For example, you could compare the groups with defined permissions in the list to the groups that the author is a member of and only add groups that the author and the list share in common. Or you could add a custom choice field to the list with the names of sharepoint groups and let the user choose which groups to grant access to when creating the item. Once you’ve got the basic event handler the only limits on setting security to a local list item is your own creativity.